Well, it’s Friday, and I’m in a lighthearted mood. So! let’s talk Barbie! Vogue Italia has come out with another all black issue–this time black Barbie got the feature! These pics make me want to start back collecting dolls. Maybe I will even get my old dolls (and books and other memorabilia) from my room at my mom’s house like she’s been asking me to for the past few years. Click to flip through a photo gallery published at bet.com! Here’s another gallery for you black Barbie lovers out there! Isn’t this 1980 Barbie simply fab?? Now, when I was growing up, I had only one white doll. My older brother got me a Russian Cabbage Patch Kid for a birthday. All my other dolls–baby dolls and Barbie–were black. I think my mom did a wonderful job of making sure I saw the beauty in my skin. I can remember telling people when I was jr. high that my brown skin was flawless and I wouldn’t trade it for anything! When it comes to dolls, honestly, I liked my baby dolls more because they were bigger and I could “style” their hair. Sunshine was my My Child doll, and she still lives at my mom’s house. I also had a Kenya doll (medium skin lol), who has survived a life of being loved too hard. Now, I didn’t have many Barbies, but my cousin Billequa did. She had tons and tons of white Barbies. So one day, I decided to trade with her. 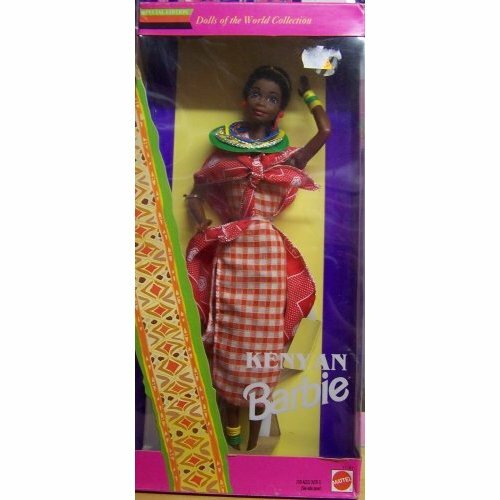 Now, let me preface this story with the fact that I understood the value of my black collector’s item Kenyan Barbie, evidenced by the fact that I traded like 5 regular dolls for this one (I think part of my issue was I could do nothing with her hair because she barely had any). My mother beat me into a coma when she realized what I had done. When I woke up, I marched right back down the street and asked to reverse that transaction. This doll still lives at my mom’s house too. I think I’m still scared to get rid of her. Only now, I really do appreciate her worth. 🙂 Happy Friday! P.S. 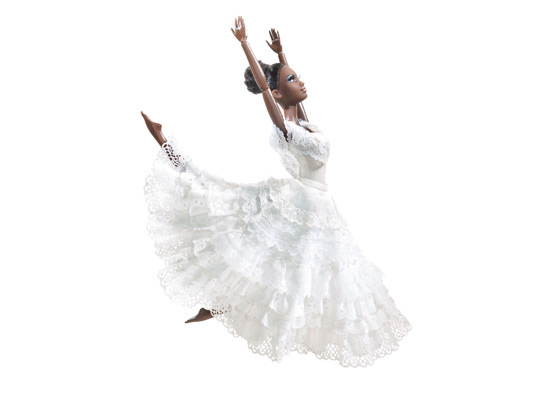 If anyone wants to get me any Barbies any time soon, this Alvin Ailey Barbie is simply beautiful, kthnx! LMBO!! Finally, I know why my housekeeping skills are subpar! Shame on you! No, really, I appreciate your being intentional in cultivating my self esteem. You aren’t an ogre–I’ll just never forget that particular memory. lol! Dang it! I didn’t have the mop set as a kid either! Ha! I never played with white doll nor did my mother and her sisters. My grandmother would go to many stores or even sew a doll before her daughters played with white dolls. Her saying was “I got colored children, so they got colored dolls”. Dolls are our reflection, our fantasy, and at times, our only friends. Last year, someone who thought he would play to my heart for Barbie and brought me a white Happy Birthday Barbie doll. Now, on my bday last year I had larangytis, but when I saw that white doll, I got as loud as Fannie Lou Hamer and said “This Doll is White”. I wanted to drop her like a hot coal. He didn’t understand my disdain. Although he is 5 years younger than I, he couldn’t believe I only played with white dolls. He was like..what if they didn’t have the doll in Black? I was like, if the doll wasn’t in Black, then I didn’t want her. Just that plain and simple.